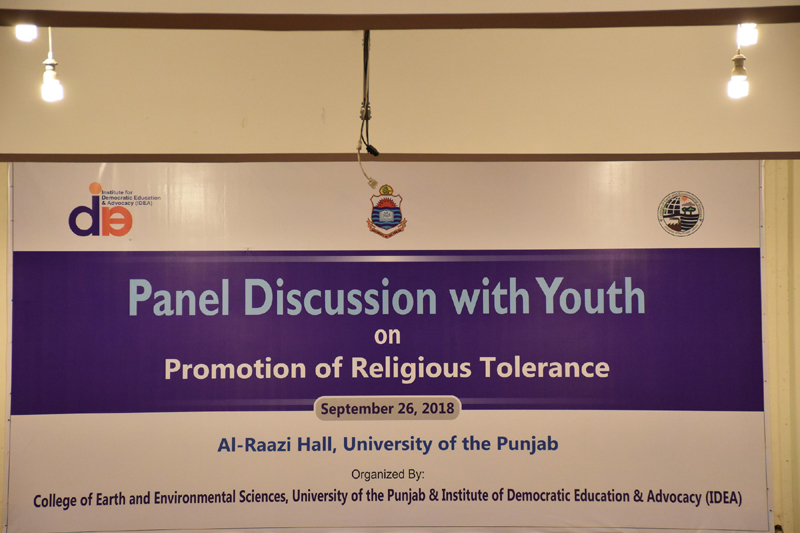 September 26, 2018: University of the Punjab urged the solution of religious intolerance so as to engage youth in promotion of Religious Tolerance in the society in Panel Discussion with Youth on Promotion of Religious Tolerance amongst youth at Al-Raazi Hall. 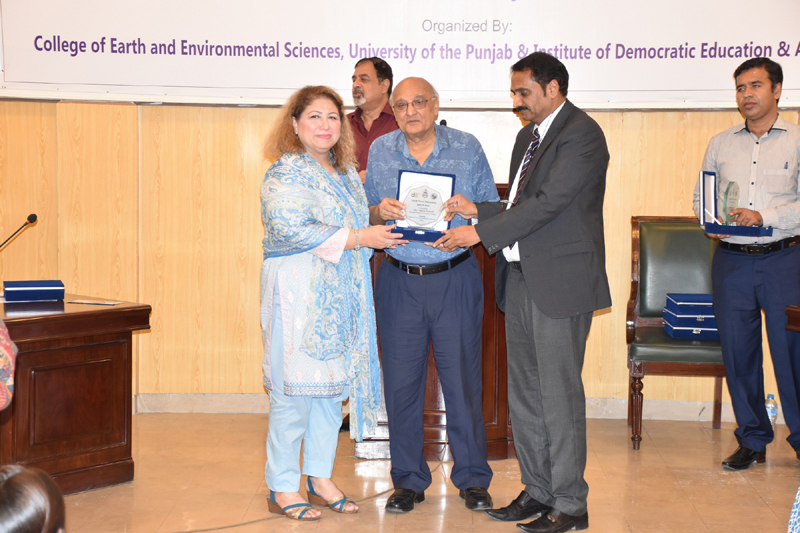 Leading Poet and writer Amjad Islam Amjad, leading Poet/Writer chaired the panel discussion. 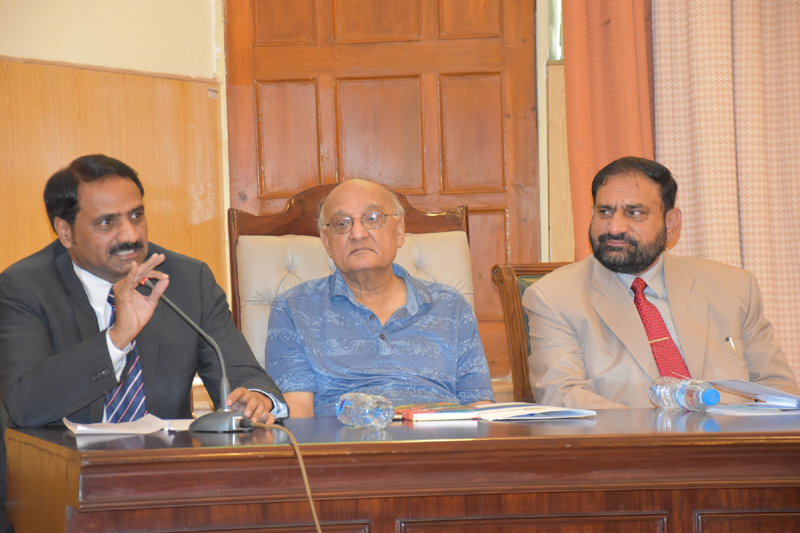 Furthermore discussion was addressed by the Syed Bilal Qutub, Teacher, Host, Intellectual and Sufi Scholar, Habib Akram Anchor/TV host, Sadia Sohail MPA, Prof. Sajid Rashid Ahmad Principal CEES and Salman Abid Executive Director IDEA. 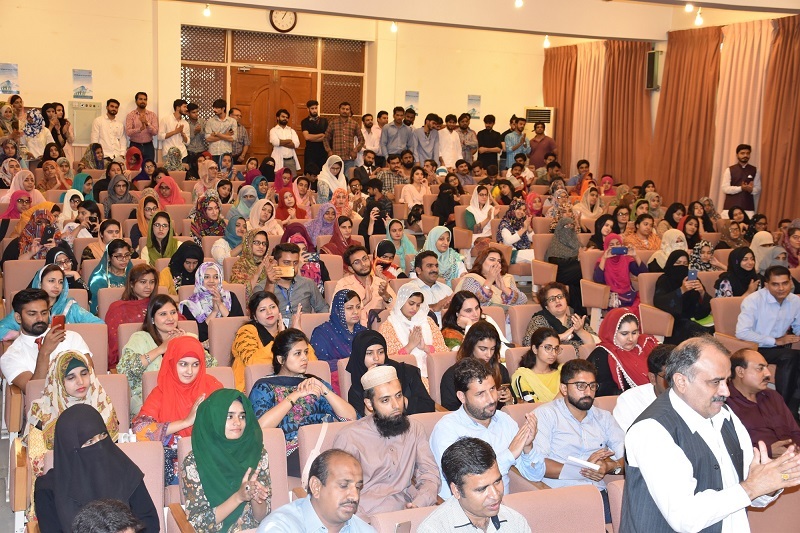 It was attended by the professors, students, administrative staff, academicians, government officials, Civil Society Representatives and Media Representatives. "Universities create a safe and secure environment to resolve any tension coming out of diversity of views, opinions and beliefs." 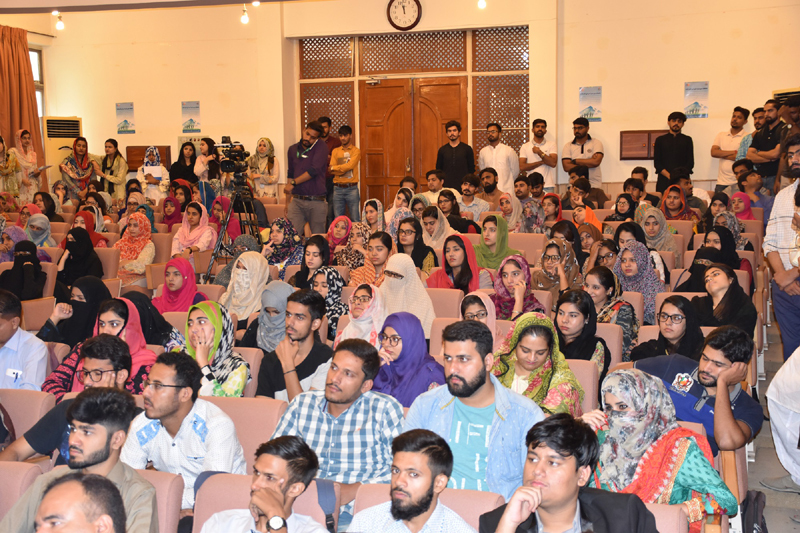 Furthermore, Syed Bilal Qutub, Teacher, host, Intellectual and Sufi Scholar also address the participants and explained the role of youth in peace process. He emphasized on the need of youth engagement in positive activities and build interest in Sufism which would leave the immense sense of harmony, love and peace. Famous TV Anchor Habib Akram said! That religious extremism is a great challenge for state as well as individuals. For this purpose we should support governmental policies and procedures to address the issue of religious intolerance. Furthermore he said Print, electronic and social media can plays an effective role for youth engagement. “Role of young girls is most important for the eradication of extremism in the society and if they become part they could contribute as peace ambassadors. 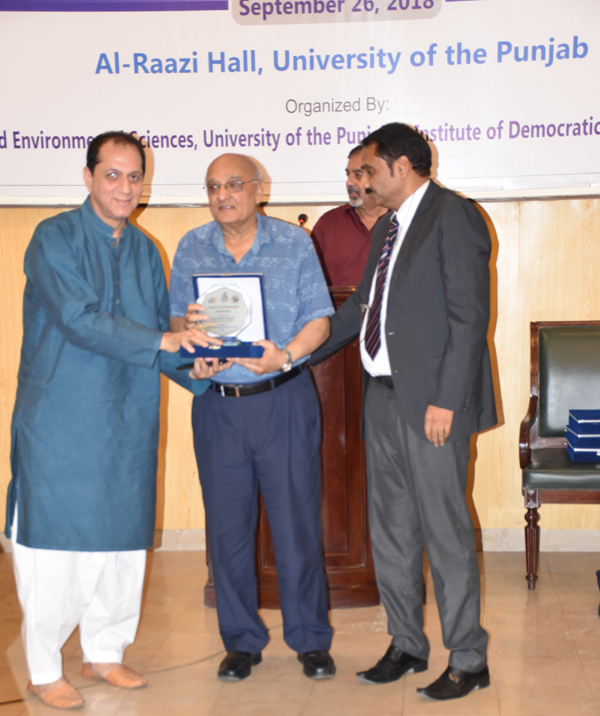 "Nation has to work for the eradication of religious extremism and should not be limited with religious institutions but the responsibility of all educational, political and religious institutions that they have to promote new thinking in new generation". During question answer session students raised their questions how youth can contribute the eradication of religious intolerance. In the end of ceremony, chief guest distributed the shields.